Hello. Can someone help me and tell me why when editing a widget it comes out as the image 1 and not as the 2, please. And can you help me solve it? It could be caused by your theme. 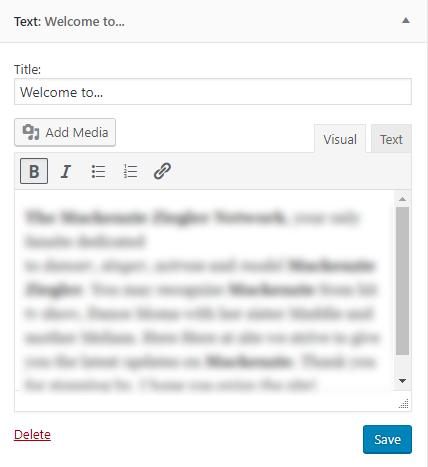 Try enabling a default wordpress theme and see if that fixes it. Also, is your Wordpress fully up to date with the latest version? The journey of a thousand miles, begins with a single step. I installed a new theme, and a message appeared that I have version 4.4 of wordpress and I need 4.7. Now I try to update to the latest version and I can not because the update does not appear. 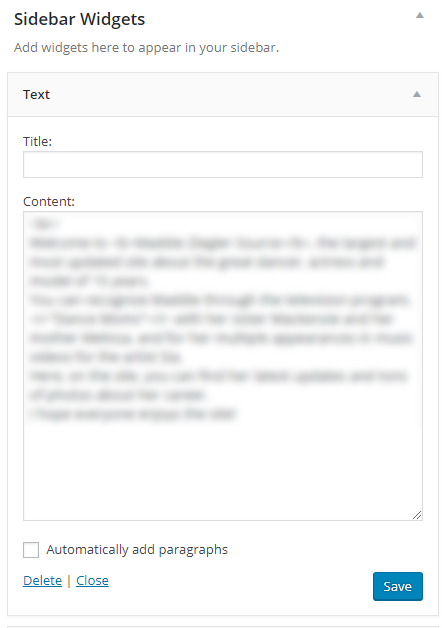 Edit your wp-config.php file and remove the section that disabled updating. Also delete the plugin cpaddons - Then wordpress will let you update it. -If troubles send us an email and we can help. All times are GMT-6. This page was generated at 09:42 PM.